Posted on Tuesday, June 9th, 2009 at 7:25 pm. 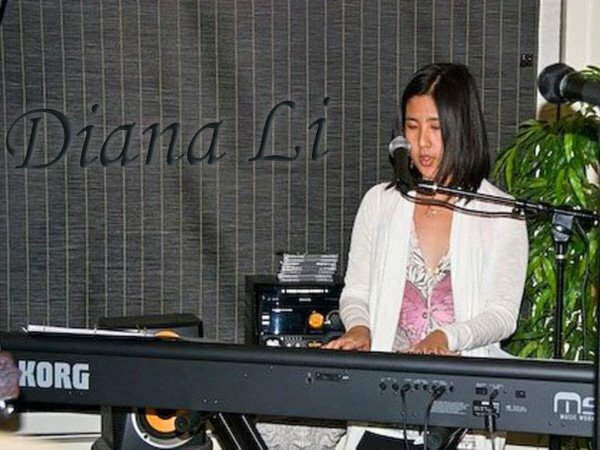 I’ve been following Diana Li for some time now since a fellow leader in the Los Angeles Taiwanese American community clued me in to this talented singer-songwriter. After watching her perform on multiple YouTube clips, I instantly became a fan and have since invited her to perform at San Francisco’s Taiwanese American Cultural Festival for two consecutive years. Without a doubt, she is always a hit, stopping crowds in their tracks. I’m sure they, too, are captivated by this young performer whose robust and penetrating voice resonates beautifully between the towering downtown buildings. I’ve caught up with Diana several times in the past year and have asked her to share some of her background story. 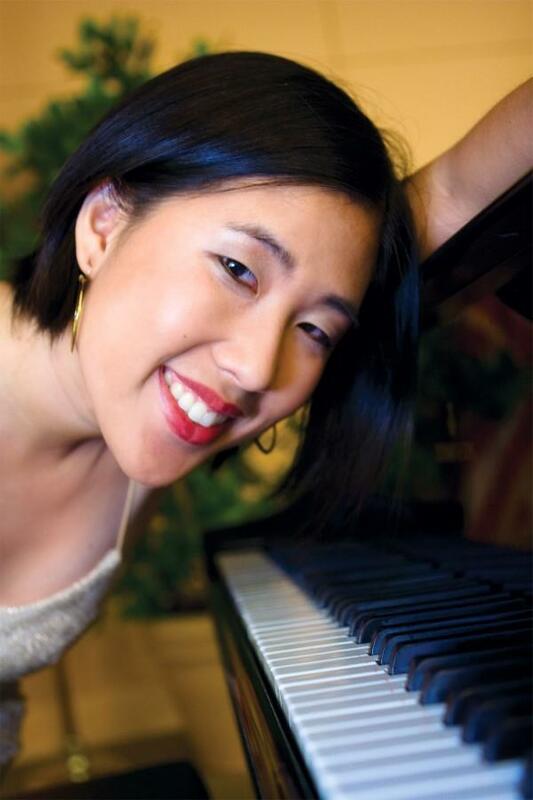 So here we are, with an exclusive interview with Diana Li. On first impression, Diana is like any other young professional you would meet. By day, she works, but on a weekly basis, she performs a regular evening restaurant gig at Gemmell’s Restaurant and is a frequent performer at local coffee shops. “I’m a girl a few years deep into her corporate life, with a few non-corporate activities sprinkled around on the side to provide some personal fulfillment and variety! I’m a ‘woman of action’ type. I like to get things done and be productive in all facets, including music.” And, as I’ve gotten to know Diana over the past couple of years, I’ve discovered that she does know how to balance work, music, and spontaneous inspiration. I’ve caught her working late at night, recording songs to share with her YouTube audience. Now, that’s dedication to be admired. I’ve watched Diana perform live twice now, and I’m looking forward to her upcoming show this weekend. There’s something amazing about watching someone do the thing they love. 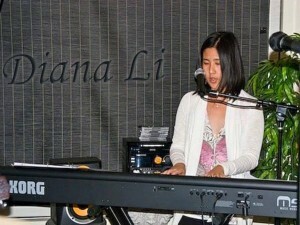 Diana clearly loves music and sings at any opportunity to do so. “I do love performing and feeling the high of sharing music with the audience, but honestly sometimes the best moments are the intimate ones I have with small audiences. But I wouldn’t sing so much in public if I didn’t truly enjoy it. I’ve loved seeing the reactions of the guests at Gemmell’s Restaurant that I sing at. And children’s reactions are priceless!” The excitement in her tone is contagious. I think to myself, there are young people who will be inspired by her voice and love for music. Diana has a bright future ahead of her, and I enjoy how she balances her work and passion. As I wonder what she has in store for the future, she offers a glimpse of what’s to come. “I continue to strive for balance with my job and my music, and hope that someday I can possibly teach music full time to combine the two professions and/or just do music on the side. I’m flexible. My CD ‘Dream & Do’ should be coming out very shortly… so look out for that! Performance-wise, I do keep them frequent and updated on my websites!” Secretly, I hope she realizes that she has all the talent needed to succeed in a full-time musical career. Thanks Diana! We look forward to seeing your musical career as it continues to rise! If you’re in the LA area on Friday, June 12th, 2009, come listen to her perform at Hollywood’s Cinespace with Christine Ofrecio.